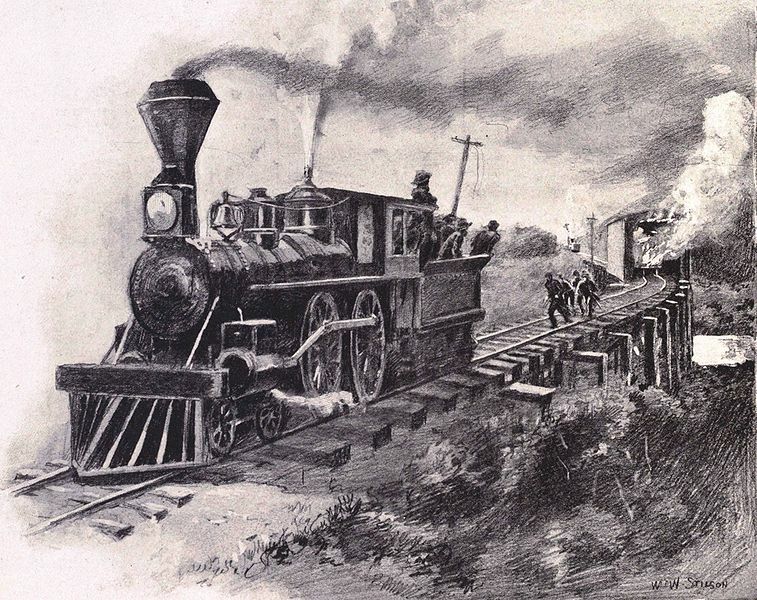 This is a continuation of my post about the Andrews raiders, who hijacked a locomotive in April 1862 with the intent of disrupting Confederate movements of supplies and troops. They were all captured; eight were hanged; another eight escaped from prison in Atlanta (in four pairs) and made remarkable journeys to freedom. Photographs of the raiders can be found here. Although the four pairs of escapees went in very different directions, their journeys were remarkably similar in distance, all in the range of 300 to 350 miles. But some took much longer than others to cover that distance. Wilson and Wood, who went south to the Gulf of Mexico, reached the safety of the U.S.S. Somerset in just 22 days, while Brown and Knight, who went north through North Carolina, took 47 days to find Union troops. Dorsey and Hawkins took a route not so different from that of Brown and Knight, but travelled over lower mountains and reached Union lines in 33 days. Porter and Wollam went west and floated down the Tennessee River for the second half of their trip, which overall took exactly the same amount of time as that of Dorsey and Hawkins. Travel by river was faster. Wilson and Wood used the Chattahoochee River for most of their trip: even though it seemed counterintuitive to go south, that turned out to be the smartest move any of the escapees made. Wilson was the one who pushed for that strategy, and the English-born Wood went along with it. They averaged more than 16 miles a day, even though they were starving and could travel only by night. Porter and Wollam hit the Tennessee below Chattanooga—it would have been nearly impossible to float past that troop-heavy town—and spent 11 days travelling twice the distance they had covered in the previous 22. Dorsey and Hawkins travelled through the mountains close to where the westernmost protrusion of North Carolina meets the Tennessee state line. Those mountains are in the 2000-3000′ elevation range. They continued north through the Cumberlands and crossed the Sequatchie before reaching safety in Kentucky. It is the journey of Brown and Knight that most intrigues me. 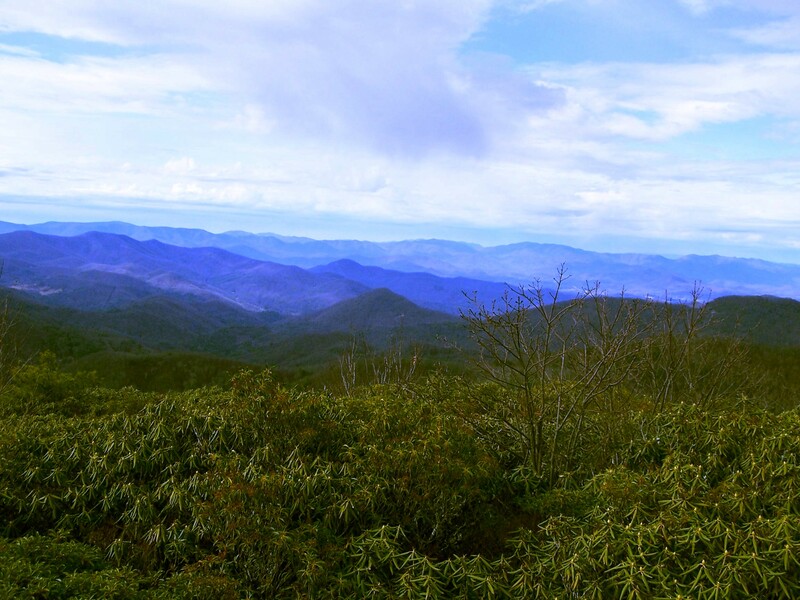 They crossed the heart of the Nantahala Mountains, where those peaks rise to 4000 and 5000 feet. It appears they took a route not far west of the current path of the Appalachian Trail, passing somewhere near Andrews and Robbinsville, NC, and getting around the worst of the Great Smoky Mountains near Tapoco. They averaged less than seven miles a day. 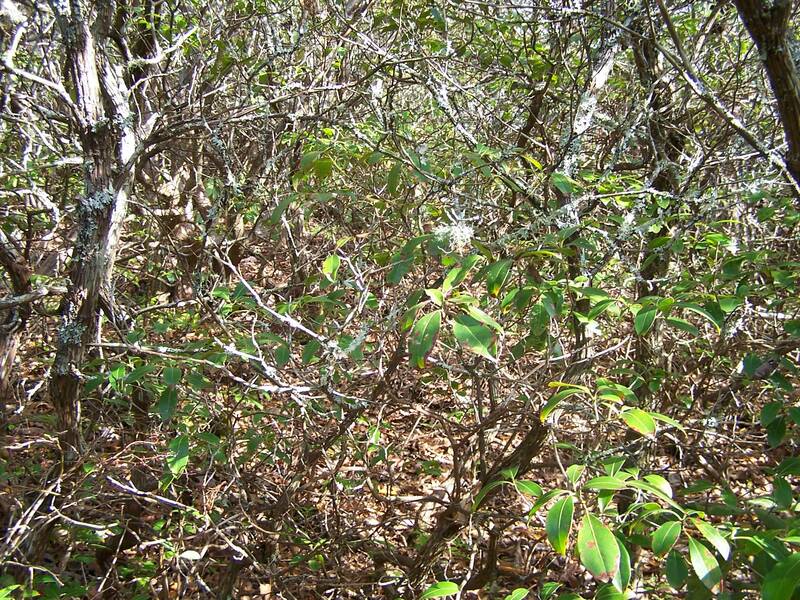 through thickets of laurel, briars, and rhododendron. As they passed through a deep river valley—perhaps the Little Tennessee—they met two men “armed to the teeth,” but the two parties passed each other in silence. As they got further north, they received aid from Unionist families, who hid them in caves and supplied them with torches and quilts. They were passed from house to house, finally reaching Union troops in Somerset, Kentucky. The pair of Brown and Knight stood out from the others also in the friction that developed between the two in later years. Brown published a series of stories about fighting Confederate bushwhackers with clubs and knives, fending off giant snakes, and of himself rescuing Knight from being burned at the stake. Unfortunately, this exciting version of the journey doesn’t mesh with either Knight’s account or Brown’s own earlier unpublished letters. It was John Porter who had the best description of the moment when the four pairs of escapees broke out of jail in Atlanta. “Everybody was wild with excitement, women screaming, men running, bells ringing, drums beating, dogs barking, in fact a regular stampede.”* But as they all ran into the woods, eventually the bells of the town stopped ringing, and then they all had to deal with the silence of the wilderness. *Quoted in Russell S. Banks, Stealing the General: The Great Locomotive Chase and the First Medal of Honor (Westholme, 2008). The details of places in Brown and Knight’s journey are extrapolations made by me in looking at Banks’ map. This outing came about when a reader of my blog expressed an interest in getting off trail in the Smokies. Like many hikers, Tom had put in years of following regular maintained trails before becoming aware of the strange parallel universe of bushwhackers and manway prowlers. So I took him up the Groundhog Ridge manway. Tom was in Gatlinburg for a week with his family, so we picked a day and met at the Cosby campground. We considered doing a true off-trail hike up the north side of Cammerer, but I thought Groundhog Ridge would be a good introduction. I hadn’t been on the manway in 20 years, but I remembered what the starting point looks like, where McFalls Branch crosses Route 32. The hardest part is finding a place to put the car other than the driveway of the nearby house. Note: Since doing this hike, I have learned that the McFalls Branch route of the lower manway has fallen into disuse, although that is the route that was generally used in the 80s. People now follow Groundhog Creek. There is much better parking available for that route—the only disadvantage is that you miss out on the nice cascade. Coming down that way on the SMHC outing up Leadmine Ridge, I could see where the old McFalls Branch path joined it at the ridgecrest. We followed the stream up past the pretty cascade at 2900′, not finding traces of the manway until the point where the stream valley pinches in around the cascade. Above the cascade we lost the manway again among the thick carpet of leaves, but the going was easy on the left and we walked through pleasant open woods. We needed to angle over to the right toward the ridgecrest to pick up the manway, but I decided we might as well continue off-trail up to the Lower Cammerer Trail and then do a short jog over. 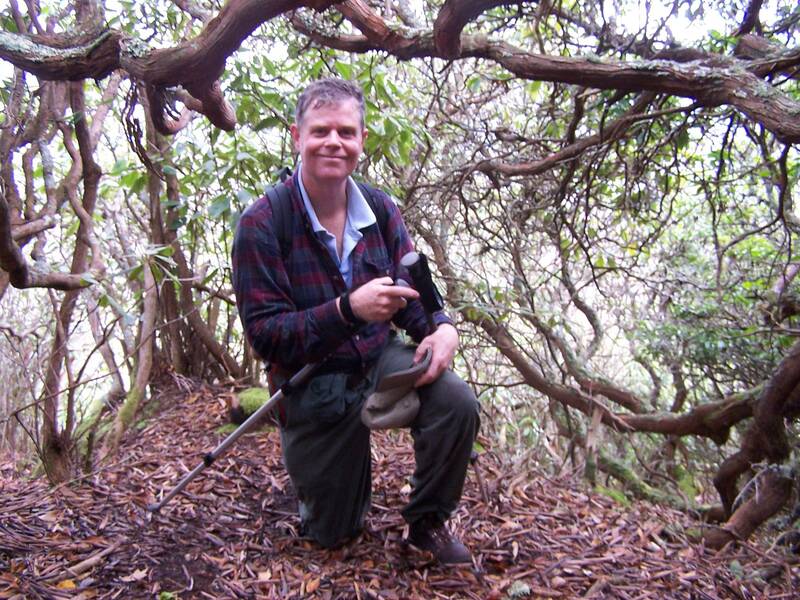 We pushed through a patch of relatively tame, nonaggressive rhodo just below the trail, and Tom seemed impressed that we actually did hit Lower Cammerer before long. In a minute or two we walked over to the manway. Where the manway crosses the trail, it seems to beckon the explorer to follow it. It looks like a pathway for trolls. An unobservant person could easily walk past it without noticing it, but there it is, a soft, narrow footway among the shadows of the trees. This part of the manway requires a bit of grabbing onto roots and manuevering up over some ledges, all through a tunnel of thick, twisting laurel and rhodo. Some of the laurel has remarkably thick, ancient-looking limbs. From that point we soon broke out into the open for the final push up to the tower. We scrambled up over some ledges. We arrived at the tower, where we encountered a few other hikers, and had our lunch. 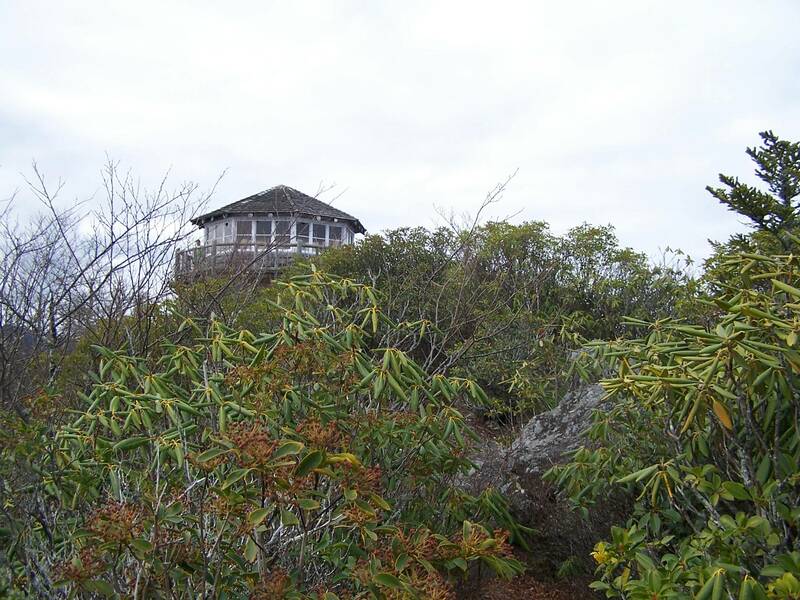 As Peter J. Barr points out in his book Hiking North Carolina’s Lookout Towers, “Contrary to most descriptions, the Mount Cammerer Lookout is not atop the mountain’s 5,042-foot summit. 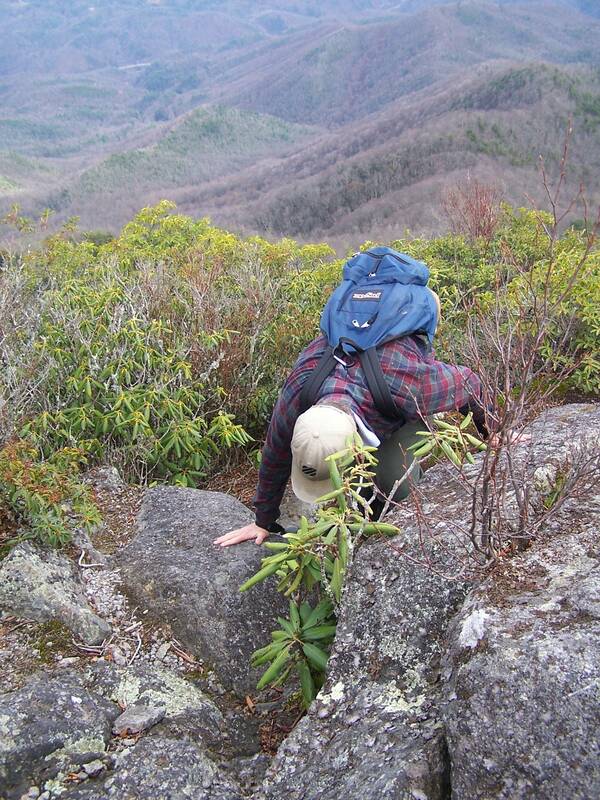 That peak, two-thirds of a mile southwest, is covered in rhododendron only a few feet off the Appalachian Trail. 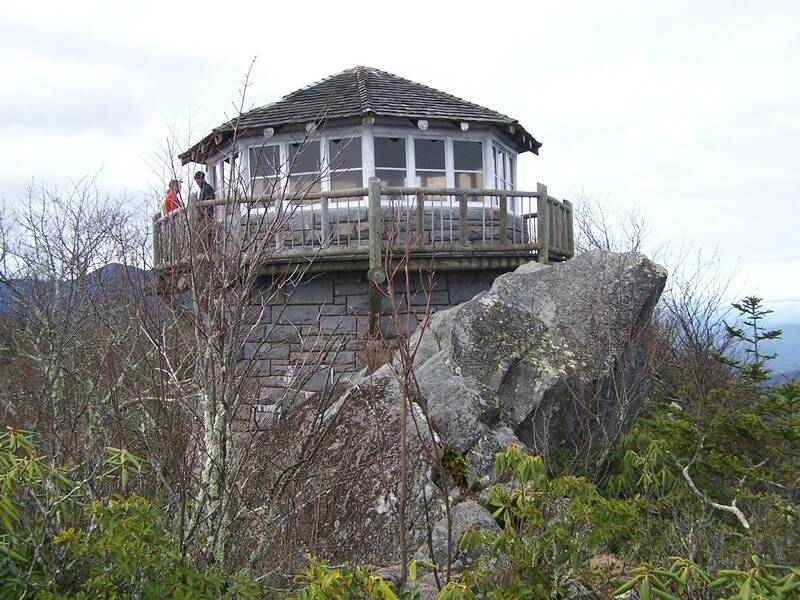 Instead, the tower rests at 4,928 feet on the narrow, rocky spine of Cammerer Ridge…” Peter knows better than possibly anyone else about the true locations of the 5,000 footers of the Southeast, because he has climbed all of them. The tower is truly a lovely structure. My favorite part of it is the ceiling inside, where the beams come together from the octagonal corners in a pleasing pattern. After the hike, we had homemade soup and fried apple pie at Carver’s Apple House Restaurant, where you can find apple fritters, apple butter, apple chow-chow, and just about anything else made out of apples. Posted by Jenny in Civil War, history, railroads. Tags: Andrews raiders, Great Locomotive Chase, the "General"
I have been reading Stealing the General: The Great Locomotive Chase and the First Medal of Honor by Russell Bonds (Westholme, 2008). It is an account of the raid led by James J. Andrews on April 12, 1862, to capture a train on the Western & Atlantic Railroad in north Georgia and run it up to Chattanooga, burning bridges and damaging the line that was key to Confederate movements of supplies and troops. The raiders hoped to coordinate with Union general Ormsby M. Mitchel as he moved his troops east with the aim of capturing Chattanooga: the destruction of the line would hinder the Confederates in their efforts to defend the town. In a daring feat, the raiders did manage to capture the locomotive called the “General” and to run it up the line as far as Ringgold, Georgia—not far short of Chattanooga—before they used up all their fuel. But the intrepid crew of the captured train, who’d been caught off guard when they got off the train for a breakfast stop, were determined to chase them down. They commandeered a series of locomotives and followed in hot pursuit. When the “General” ran out of steam, the pursuers were just behind. All of the raiders were captured. Andrews was hanged, as were seven of the raiders who were convicted as spies. It was in October, 1862, when the ones not yet hanged heard their turn could come next—and soon—that they decided to escape from their jail in Atlanta. And this part of the story fascinates me even more than the locomotive chase itself. In the day before they made their escape, they decided among themselves to form pairs, and they discussed the different possible routes. They were hoping to connect with Union troops they believed to be as close as northern Alabama or east Tennessee, but in fact Union forces under the indecisive leadership of Don Carlos Buell had retreated, and the troops were no closer than Mississippi and Kentucky. Imagine this: you are weak from your six-month imprisonment. You have no map or compass, your clothes and shoes are tattered, you have no food, no weapons. You are deep in hostile territory, and you can only guess at the location of the blue army. The astonishing thing is that of the 14 raiders left at that point (two more had been captured who were part of the conspiracy but hadn’t actually been in the raid), eight of them—four pairs—managed to travel hundreds of miles and to reach Union lines. And they went in several completely different directions, ending up in Corinth, Mississippi; Somerset and Lebanon, Kentucky; and all the way down at the mouth of the Apalachicola River. Their journeys were entirely improvised. They had no information. They woke each morning wondering which way fortune would take them. Porter and Wollam went west to Corinth, Mississippi. Dorsey and Hawkins went north to Lebanon, Kentucky. Brown and Knight went north to Somerset, Kentucky. Wilson and Wood went south to the mouth of the Apalachicola River.